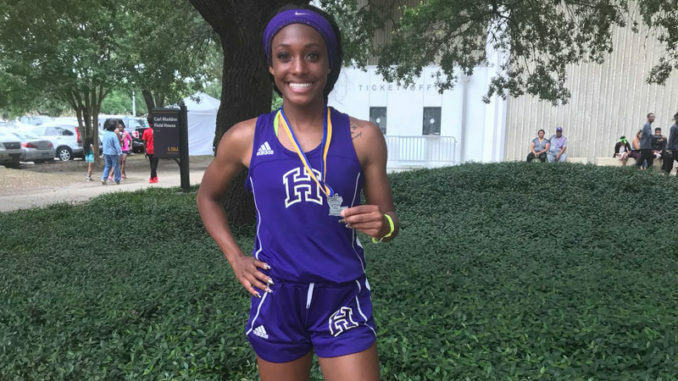 Ashlyn Jack earned her way to the podium in three different events at Saturday’s Class 5A track and field championship meet. Hahnville’s Ashlyn Jack and the Hahnville girls 4×200 and 4×400 relay teams each earned state runner-up honors at the LHSAA Class 5A state track and field championship Saturday at LSU’s Bernie Moore Stadium, leading a field of several St. Charles Parish competitors and helping the Lady Tigers finish sixth overall as a team. Jack’s mark of 46.38 was good for second place in the girls 300 hurdles, while she also helped spur the 4×200 team to a second place time of 1:41.46 along with teammates Kevell Byrd, Yelah Moses and Alexis Williams and the 4×400 team (Jack, Alexandra Johnson, Williams and Byrd) to a second place time of 3:57.20. Two other Lady Tigers earning high finishes were Alexis Williams, who took fourth in the girls 400 (57.58), and Jyia Joseph, who earned fourth in the girls high jump (5-00). Destrehan’s Quinton Torbor took fifth place in the boys high jump (6-04). Hahnville’s Emily Blanchard took seventh place in the girls 3200 meter run (12:04.34), while Destrehan’s Devin Boutte earned seventh in the 800 (2:00.14). 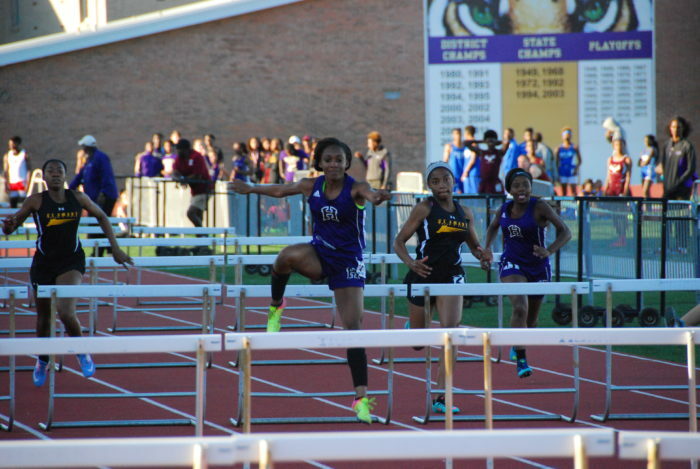 Ashlyn Jack in action at Hahnville.